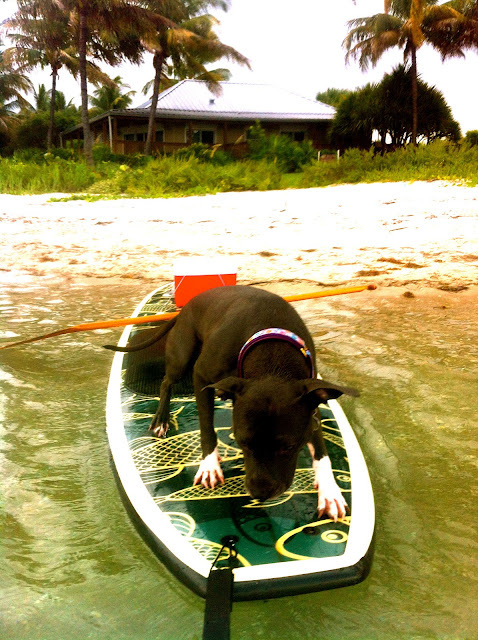 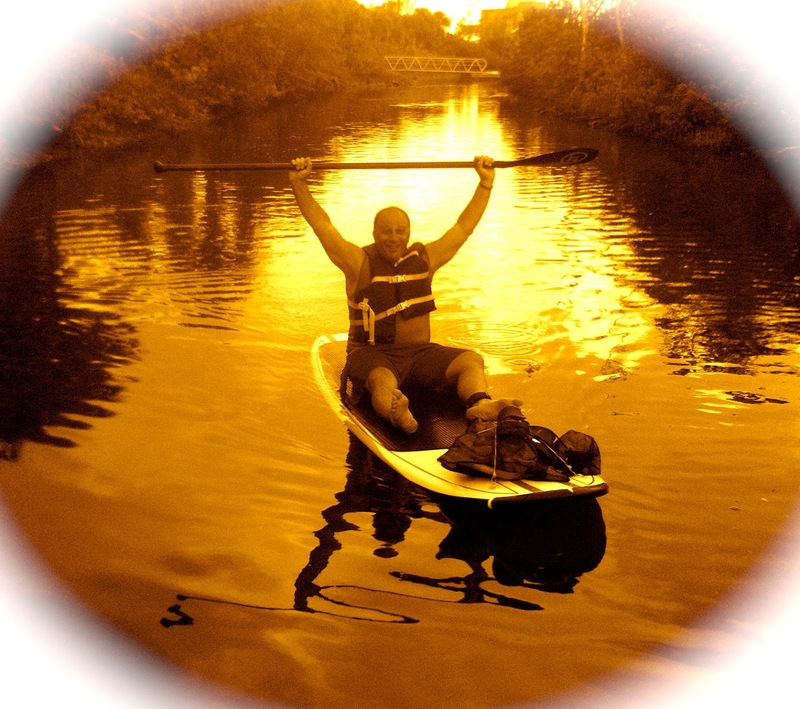 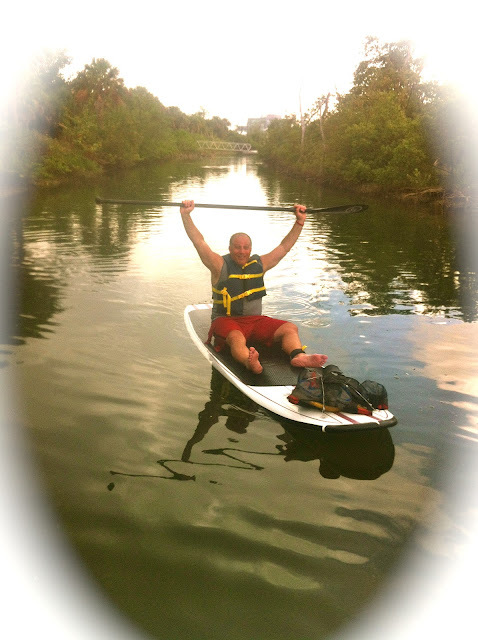 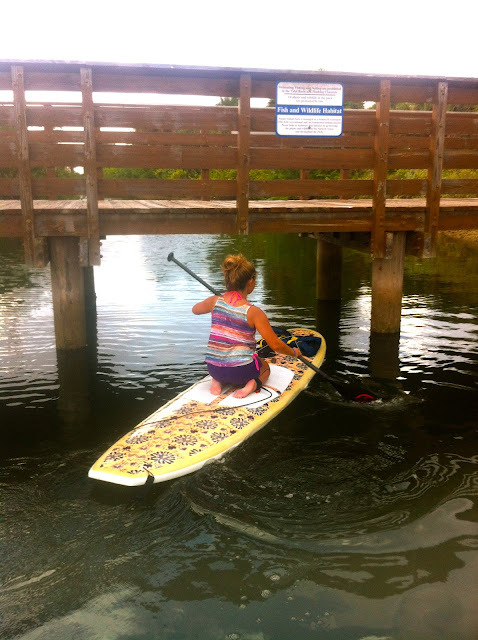 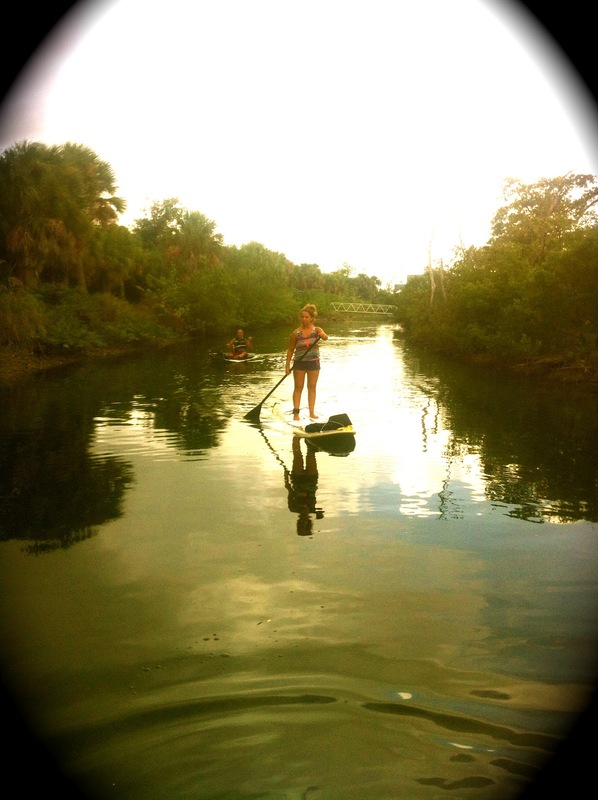 Paddleboard Excursions: In Spite of the storm we still had fun! 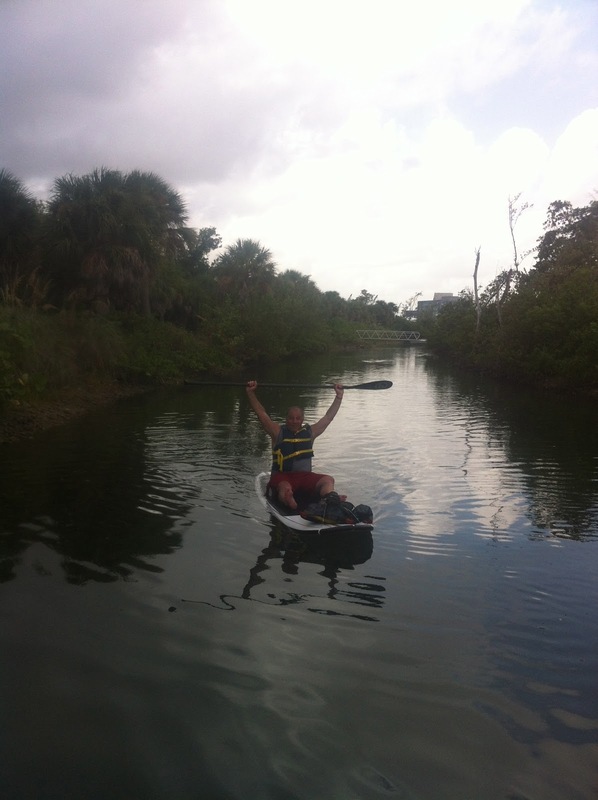 Yes, we made it to Peanut Island and managed to paddle the lagoon before the storm hit! These two brave paddlers did not panic.....we beached our boards and went for shelter on the porch of the Peanut Island office building. 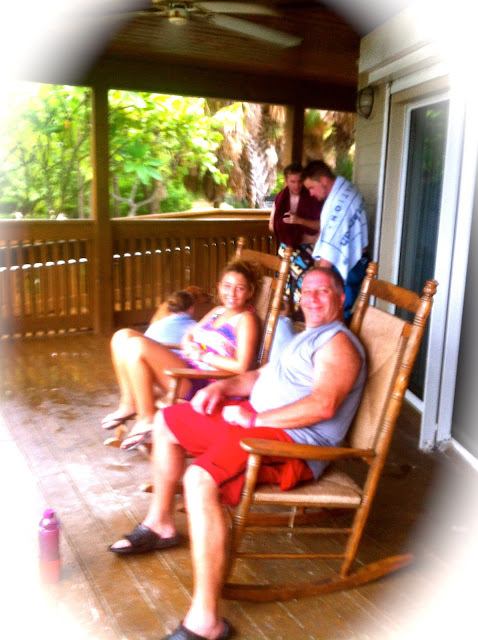 Hey.... rocking chairs were waiting for us. As we watched the storm we got to know each other a little better. 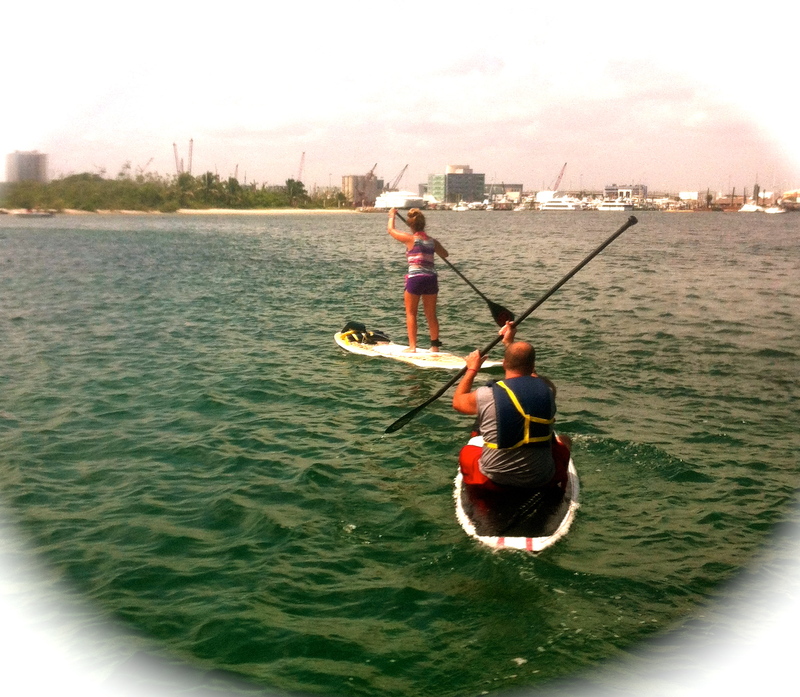 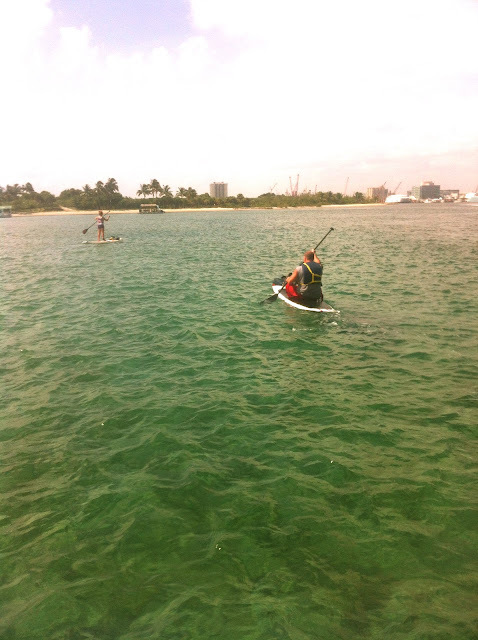 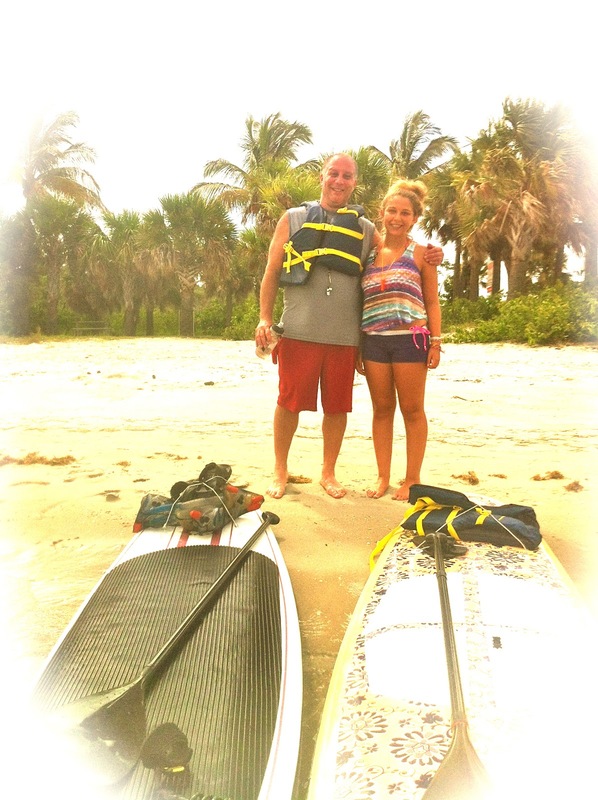 This was a father and daughter from Philadelphia and it was their first time on a Stand Up Paddleboard. Sometimes things happen that are beyond our control...the storm was one of those things! 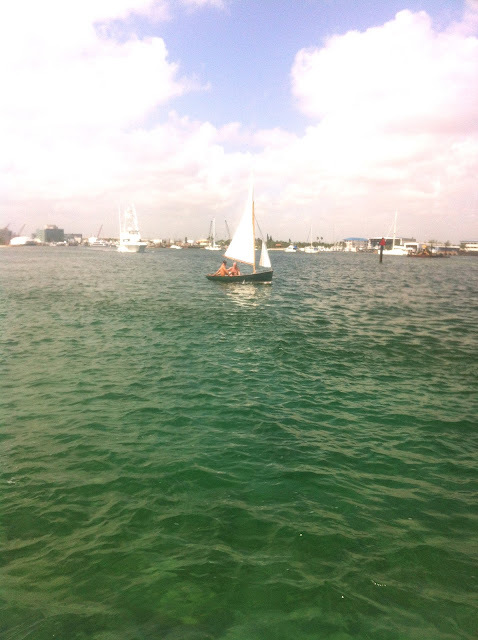 We have a hurricane heading for Florida and for a minute I thought we might be getting some of the nasty first fruits.....but after an hour things died down.....although we did get a bit impatient so we called the water taxi to come pick us up......stomachs were growling.......and we certainly did not want to miss lunch. Grandfather was waiting at the marina and treated his children to a wonderful meal at The Sailfish Marina. I hope Jillian gave her grandfather a kiss and a hug. 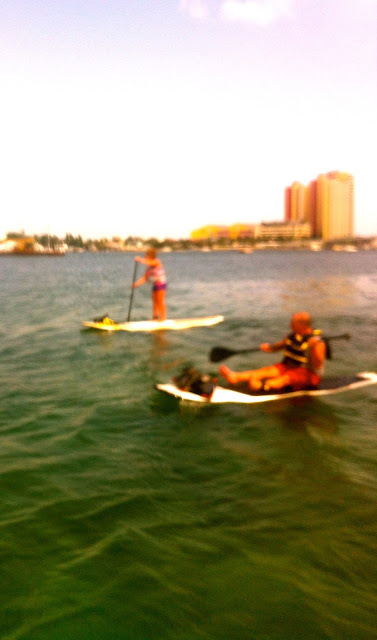 I predict these two paddle boarders will sleep good tonight!